For $500 (Low Season Only from 18 Apr – 31 Oct 2018) upgrade your entire stay at from a 4 Star Resort to a 5 Star Resort – Amari Phuket in a sheltered area of Patong Beach! Our clients rave about this Resort! A Standard Breast Lift + Augmentation procedure, with smooth or textured round silicone cohesive gel implants, donut/lollipop lifting techniques and placement below and above the muscle are included. Larger implant sizes (over 400cc), dual plane placement, tear drop (anatomical implants), anchor (inverted “T”) and second, third or severe degree ptosis will incur a surcharge to be itemised in your Surgical Recommendation. 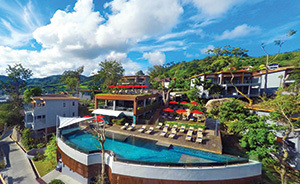 Total night stay in Phuket (post surgery) may also differ from package depending on Surgical Recommendation – if a longer stay is required the package will be subject to additional surcharges.